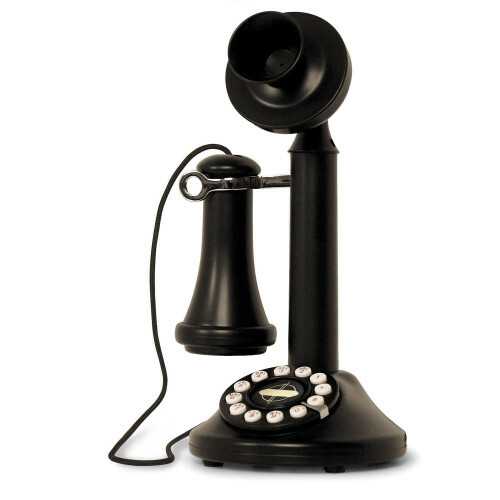 A fixture on desks in Great Britain during the 1920s and 1930s, the Brittany telephone is brought back to life through this black resin and antiqued faux brass reproduction. Our guests absolutely loved our fetefone and we are so happy to now have all of the recordings to listen to in the years to come. It was such a fun and interesting addition to our party! Would definitely recommend if you want a cool alternative to the standard guest book.